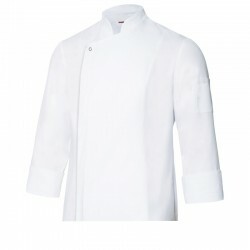 Chef Jacket There are 12 products. 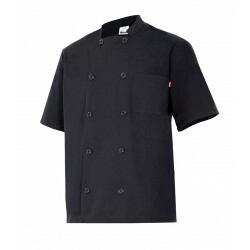 Jacket chef short sleeve with neck strip. Double-breasted cross, a patch pocket on the chest. Possibility to personalize all items. 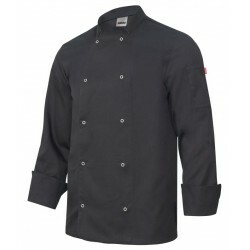 Jacket of the cook long sleeve with neck strip. Double breasted with snap-on. 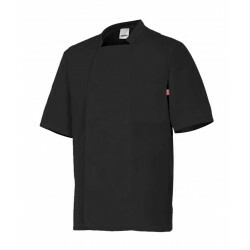 A patch pocket on the left sleeve. Possibility to personalize all items. 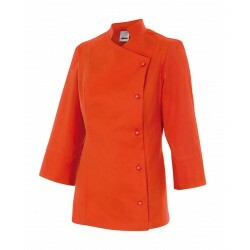 Jacket cook with mao collar and back with breathable fabric. Closure asymmetric concealed zip and an automatic in the neck, side opening on the cuffs. Side pocket on the sleeve. Possibility to personalize all items. 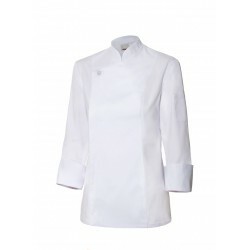 Jacket cook fitted with mao collar, asymmetrical center with a hidden zipper and a button at the neck, side opening on the cuffs and sleeve pocket. Possibility to personalize all items. 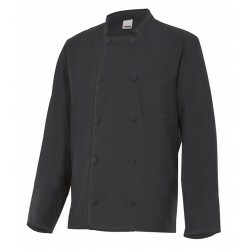 Jacket cook fitted with mao collar. Close central cross with buttons, sleeve and French court of costadillos the shoulder. Possibility to personalize all items. 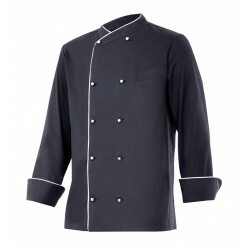 Jacket cook with neck strip. Double-breasted cross, side opening on the cuffs and a pocket to live in the chest. Bodice and pleats in the back. Possibility to personalize all items. 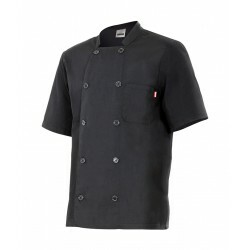 Jacket chef short sleeve with neck strip. Double breasted with snap-on. A patch pocket on the left sleeve. Possibility to personalize all items. Jacket cook with mao collar, closure asymmetric concealed zip and a button at the neck, side opening on the cuffs and sleeve pocket. Possibility to personalize all items. 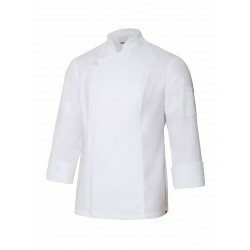 Jacket of the cook 's short sleeve with neck strip. Double-breasted cross, and a patch pocket at the chest. Possibility to personalize all items. Jacket cook with neck strip. Central lock with hidden zipper and a button at the neck, side opening on the cuffs and a pocket to live in the chest. Possibility to personalize all items. 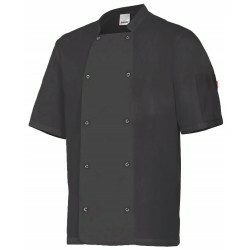 Jacket chef short sleeve with neck strip. Double-breasted cross, a patch pocket at the chest and pleated in the back. Possibility to personalize all items. 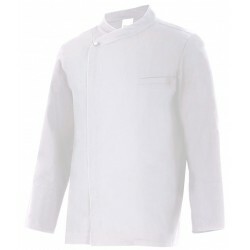 Jacket of the cook long sleeve with neck strip. Double-breasted cross, a patch pocket on the chest and buttons. Possibility to personalize all items.